Liberty Hall Museum Community Farmers Market at 1003 Morris Ave in Union on Thursdays from 11am-5pm from June 8th until October 30th. Tons of Jersey Fresh produce, wine, cheese, breads, honey, pickles, coffees, crafts, syrups. Roselle Park Farmers Market at the corner of Chestnut Street and East Grant Ave in in the gazebo parking lot of Michael Mauri Park in Roselle Park on Wednesdays from 1pm to 6pm from July 3rd to October 30th. Fruits, vegetables, flowers, herbs, baked goods, pickles. Scotch Plains Farmers Market at 430 Park Avenue in the Municipal Parking Lot in Scotch Plains on Saturdays from 8am to 2 pm from May 17th through November. Jersey Fresh fruits and vegetables, baked goods. Springfield Farmers Market at Dayton High School at 139 Mountain Avenue in Springfield on Mondays from 12 noon to 6 pm from July 1st through August. Fruits, vegetables, baked goods, granola. Westfield Farmers Market at the South Avenue Train Station in Westfield on Saturdays from 8:30 am to 2pm from July 5th through October 25th. Fresh fruits, vegetables, nuts, granola, dried fruits, cheese, yogurt, eggs, baked goods, honey. How do you know what’s locally ripe and in season? Try RipeTrack. Just type in the fruit or vegetable you’re looking for and see if you’ll be buying locally grown produce. Alternately, click What’s In Season Right Now and see all of the produce that local farmers are picking today. 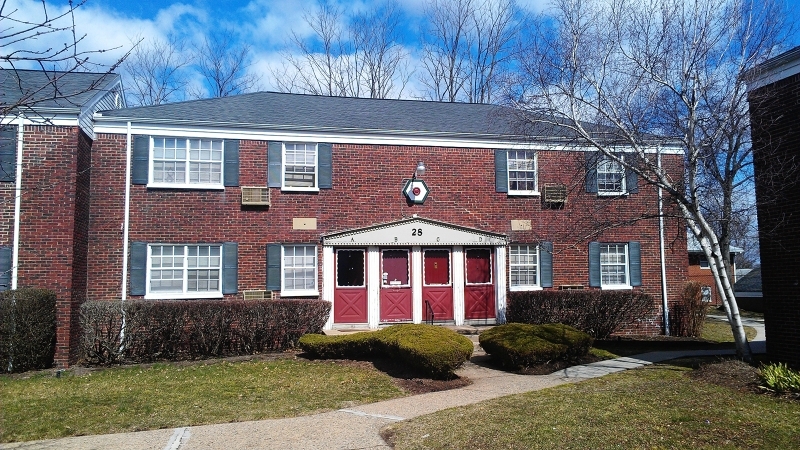 Just Listed – 1 BR condo in Roselle Park for $110,000! This 1 bedroom, first floor unit features hardwood floors, lots of closet space and is convenient to shopping and mass transit. A garage space and off street parking are avaialable. Maintenance is $235 per month. List price is only $110,000. Among other factors, home values are directly linked to schools. 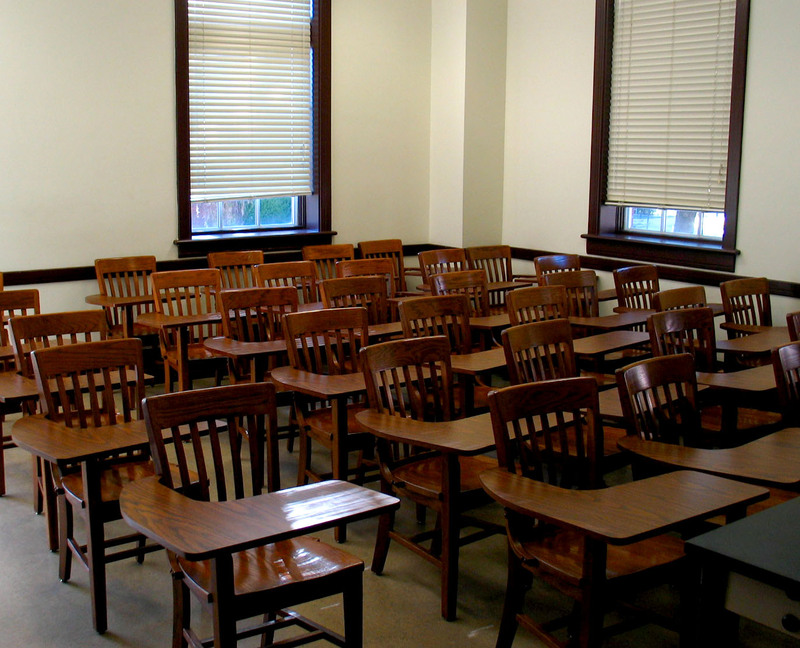 Great schools bring up the prices of homes, and bad schools bring down the prices. If you haven’t seen the news, this year’s School Ratings by Inside New Jersey has been published. Inside New Jersey is not the only school rating system but it is the first to publish their results this year. When these scores are correlated to home values, the average value of a home in an A school district is $519,660. The average value of a home in a B district is $482,271. The average home in a C school district is valued at $280,825 and the average home in a D school district is valued at $361,800. For more information on schools in Union County, click here. For more information on home values, click here. Where are the Red Light Cameras in Union County? Where are Union County’s red light cameras? Two sources we were able to find are this list and this interactive map. The Insurance Institute for Highway Safety reports that nearly ¼ of all traffic accidents in the US are caused by drivers running red lights, killing roughly 800 people costing roughly $7 billio­n dollars in property damage, medical bills, lost productivity and insurance hikes. As a result, many local towns are installing red light cameras which are automated devices to collect evidence the authorities need to prosecute drivers who run lights. The red light camera system measures the speed of the vehicle using loops in the pavement and then uses that speed to determine if the vehicle will be able to stop before the intersection. The camera takes two photographs – one of the vehicle just before entering the intersection with the light showing red and a second photo, taken one or two seconds later, showing the vehicle in the intersection. The photographs are date and time stamped and include data such as the speed of the vehicle and the amount of time that passed between the light turning red and the vehicle entering the intersection. If a camera catches a driver running a red light, the police will mail them a ticket, along with a photograph of you running the light. Worldwide, red light cameras have been in use since the 1960s and in the US since 1990. New Jersey suspended its red-light camera program over questions about the accuracy of the devices. Under national standards, yellow lights are expected to stay lit one second for every 10 mph — or 3.5 seconds in the case of an intersection where the speed limit is 35 mph. In NJ, the speed must be determined by the speed at which 85% of the road’s traffic move rather than the actual speed limit – this is the strictest timing provision in the country. Cameras that have been tested to be accurate are still in use, and cameras that have not tested accurate are not in use, according to the State Department of Transportation. 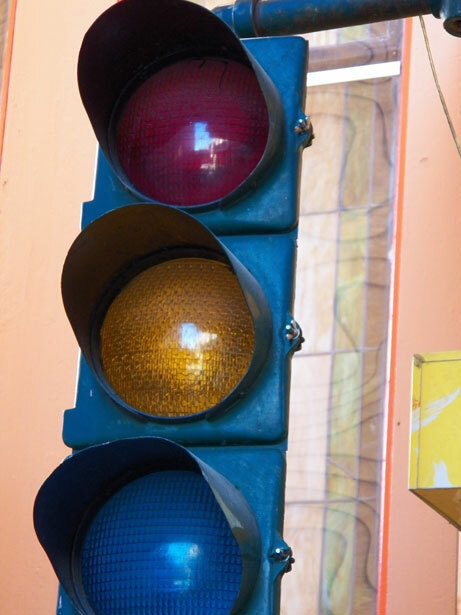 The Courier Post reports that the State DOT identifies 63 of the 85 red light cameras in NJ have not been tested to ensure that the yellow lights were timed correctly. Towns where at least some of the existing red-light cameras will be temporarily suspended are: Newark, Linden, Wayne, Palisades Park, Union Township, Springfield, Roselle Park, Rahway, Englewood Cliffs, Pohatcong, Piscataway, Edison, East Windsor, Lawrence, Cherry Hill, Stratford, Monroe, Brick, Glassboro, Jersey City, and Woodbridge. The 22 cameras that are in compliance include 12 in Jersey City (all but the one at the intersection of John F. Kennedy Boulevard and Communipaw Avenue), three in Woodbridge (all but the one at Route 1 and Avenel Street), four in Gloucester and one each in East Brunswick, New Brunswick and Deptford. The Courier Post reported this week that rear end crashes have increased by 20% since the cameras have been used. The suspicion is that drivers who are nervous about being caught on camera may be stopping at intersections too quickly. First Day of School, Union County! It’s time to buy new notebooks and sneakers – schools all over Union County will be opening soon! Opening day for all of Clark Public Schools in Thursday, September 6. School supply information and summer reading information can be found here. Opening day for all schools in Cranford is Thursday, September 6th. Information on summer assignments and school supply lists can be found here. All Rahway schools are opening on Wednesday, September 5th. Rahway’s Grover Cleveland School is holding their Open House on Tuesday, August 28, from 10am to 12pm. Rahway High School will hold its Freshman Orientation from 11am to 1pm on Tuesday, September 4th. For information on school supplies for Rahway students, click here. The first day of school is Roselle Park is Wednesday, September 5th. Have you done your summer assignments yet? Click here and here to see the assignments. Info on school supplies and school forms is available here. Linden public schools open for all students on Thursday, September 6th. For information on your summer assignments, click here. 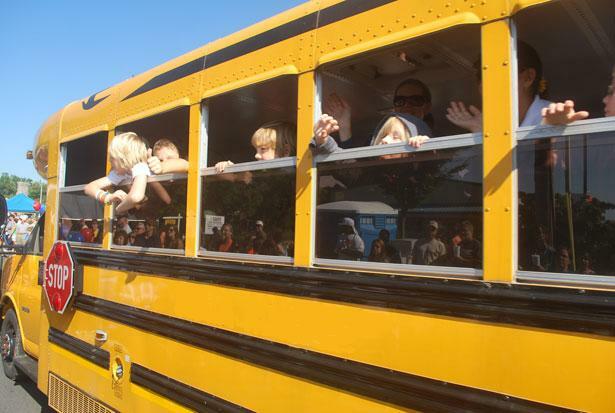 The first day of school for all students in Scotch Plains-Fanwood is Wednesday, September 5th. Freshman Orientation will be held on August 24th from 10am to 11:30 am, followed by a mini golf and pizza lunch. Orientation for Freshman parents will be at 7pm on August 28th. Summer Reading information can be found by clicking here. Make it a great school year! Fourth of July Fireworks in Union County! 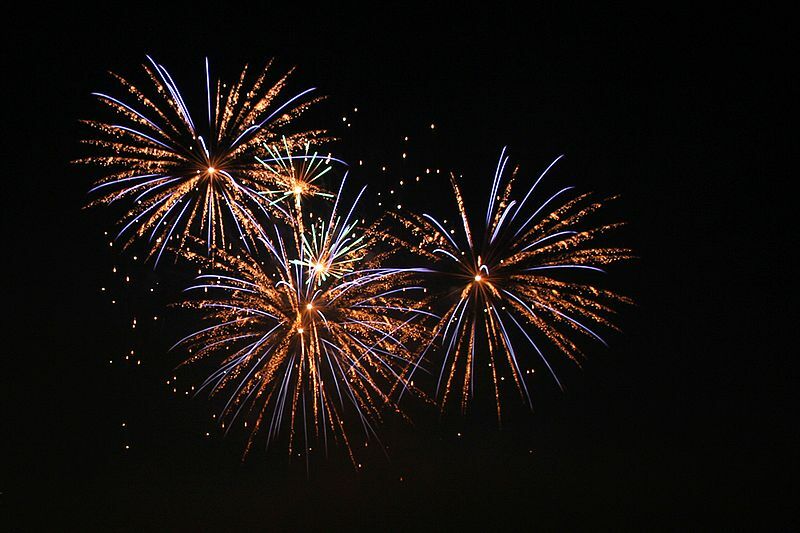 Where can you go to see Fourth of July Fireworks in Union County? Clark – Arthur L. Johnson Regional High School, 365 Westfield Ave – DJ and vendors in front of town hall beginning at 7:30. Elizabeth – Veteran’s Memorial Waterfront at the intersection of Front Street and Elizabeth Avenue. Mountainside – Fields behind Our Lady of Lourdes and Deerfield School. Free ice cream for the kids! Roselle Park – Herm Shaw Field at Roselle Park High School on West Colfax. Springfield – 5:00 pm rides, petting zoo, pony rides, trackless train ride at Meisel Field; 7:30 concert; fireworks at dusk. Summit – rides and amusements all day, concert at 7:45, fireworks at 9:15. Union – Biertuempfel Park concert followed by fireworks at 9:00.